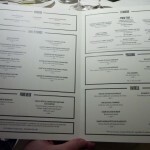 The new restaurant at the Mandarin Oriental may seat 140 guests, but getting one of these seats is not easy. 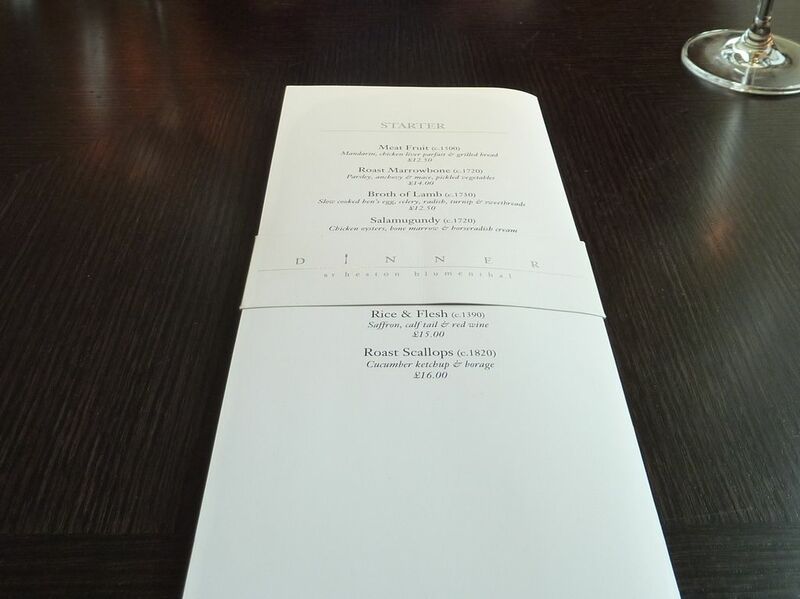 We reserved our table in January not long after the booking lines had opened and got the earliest table available, which was a 2.30 lunch sitting in March. This meant we had been looking forward to “Dinner” for what seemed like ages. Could it possibly live up to the hype or more importantly to my mind could it justify the loss of The Foliage? Interestingly there does seem to be a restaurant review pattern, in that the food bloggers are less wowed than the professional critics. A pattern I am afraid we find ourselves following. 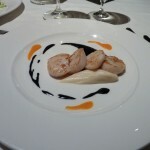 To be fair Heston in interviews has emphasised that Dinner is not trying to be a fine dining restaurant, it is not an outpost of The Fat Duck. The staff also made that very clear to us on our visit. So we tried hard to adjust our expectations accordingly. 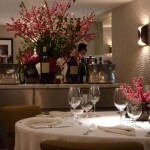 The kitchen is headed by Ashley Palmer-Watts who has worked with Heston at The Fat Duck for nine years in the capacity of Group Executive Chef. “Dinner” (still hate the name) has unquestionably been the hottest opening this year, gathering an incredible amount of publicity and accolades. During the summer months the terrace overlooking Hyde Park will be used for al fresco dining and it may well take until the summer to get a reservation. 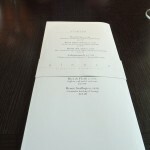 The Restaurant is apparently fully booked to the end of June. Reservations are even being offered as prizes and being sold on ebay! It was really nice to be greeted by the last two surviving members of the Foliage staff. 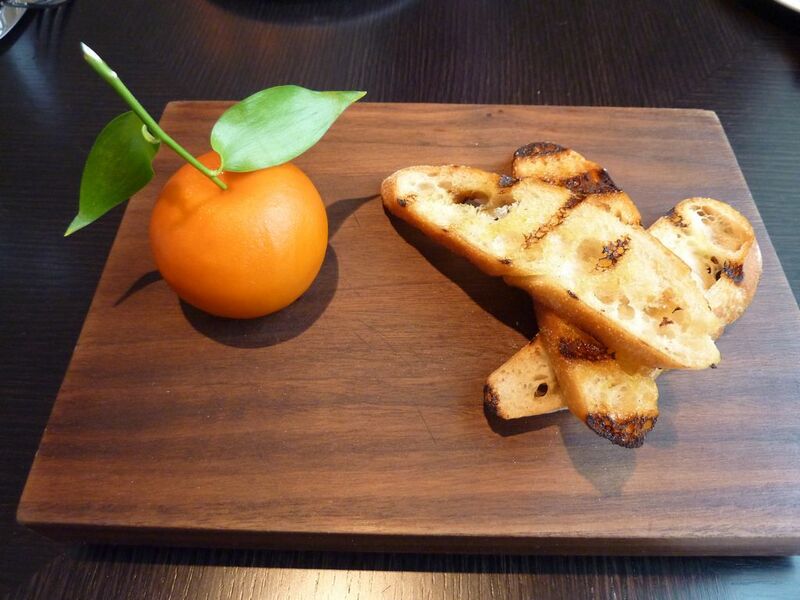 As a welcoming treat we were given a sample of the famous Meat Fruit, enabling us to effectively “tick the box” on that one. 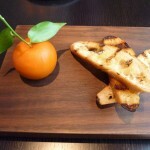 It was a perfectly fine chicken liver parfait cleverly shaped like a Mandarin Orange in homage to the hotel. 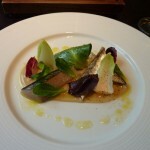 I then ordered the Hay Smoked Mackerel starter with lemon salad, Gentlemen’s Relish and olive oil. 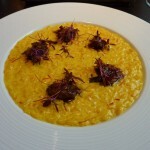 I found it to be a tasty and refreshing dish. 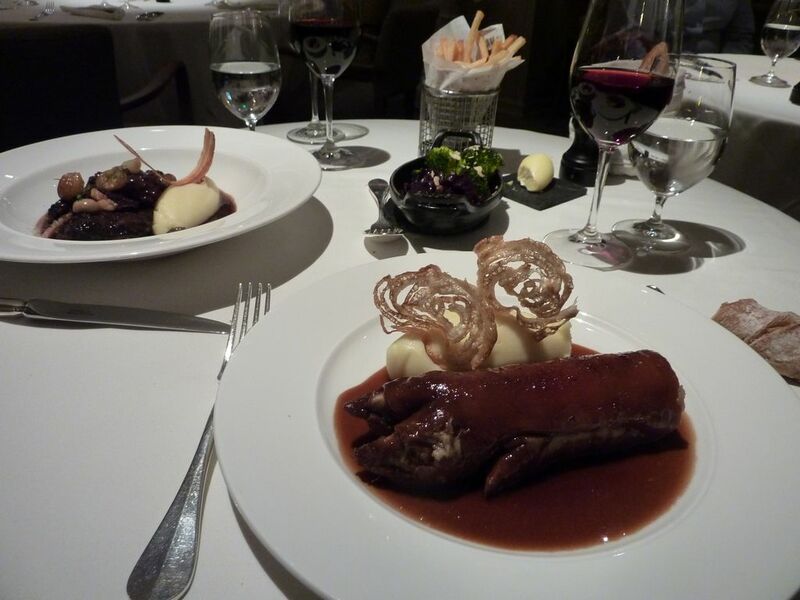 For main course I chose the Pigeon, which was delicious, but in retrospect did not really justify the price which was actually more than the cost of the entire set menu. 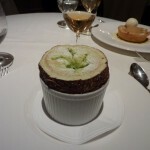 The standout dish for me was my dessert choice – no not the famous Tipsy cake with pineapple. I was a bit more adventurous. 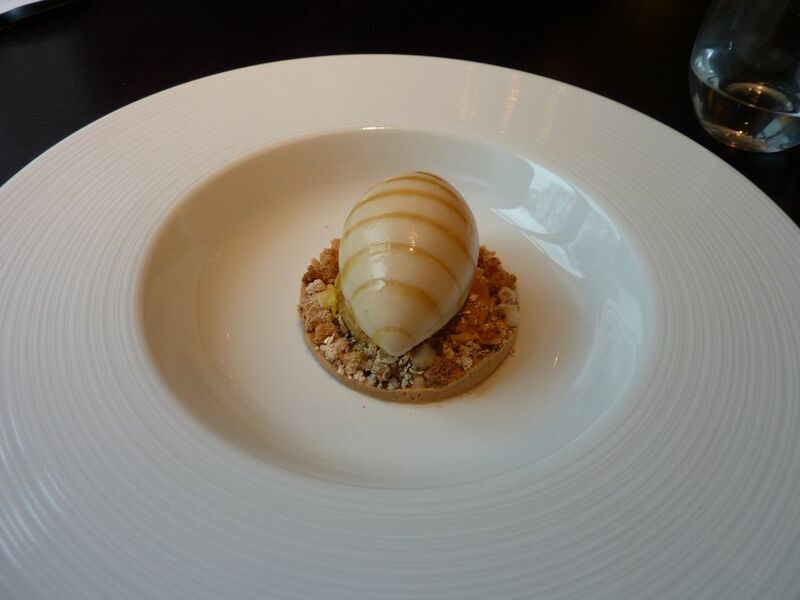 I went for the Brown Bread Ice-Cream, even though I had been warned and perhaps a little put off by it being described as having savoury elements. 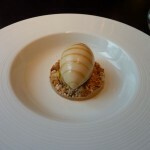 It was unusual, but for me it really worked with the yeasty Ice-Cream contrasting well with the caramel sauce and oats. I found it really quite moreish. My companion was less successful with his choices. 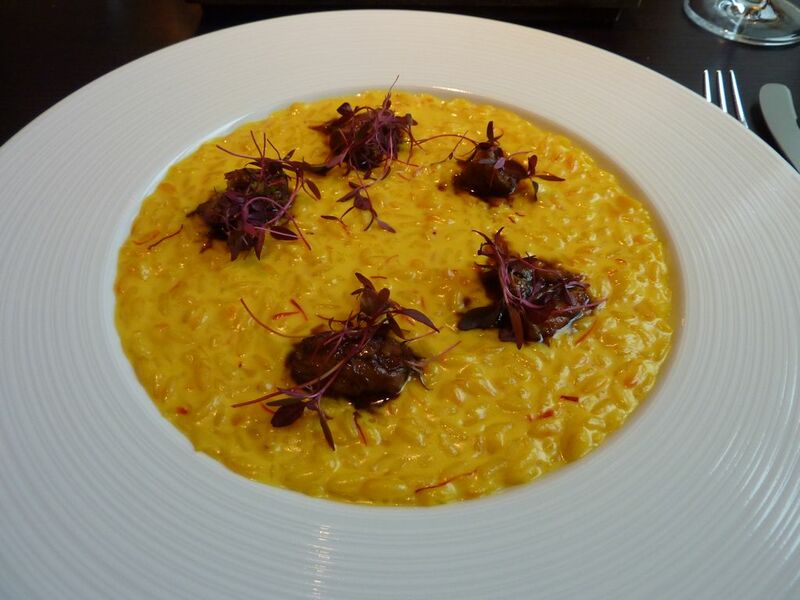 He started with the Rice and Flesh which combined flavours that he did not particularly enjoy. He also ordered the Powdered duck. 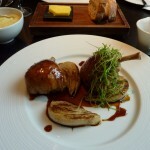 The meat was moist with subtle flavours but he did not like the contrasting hard fennel. 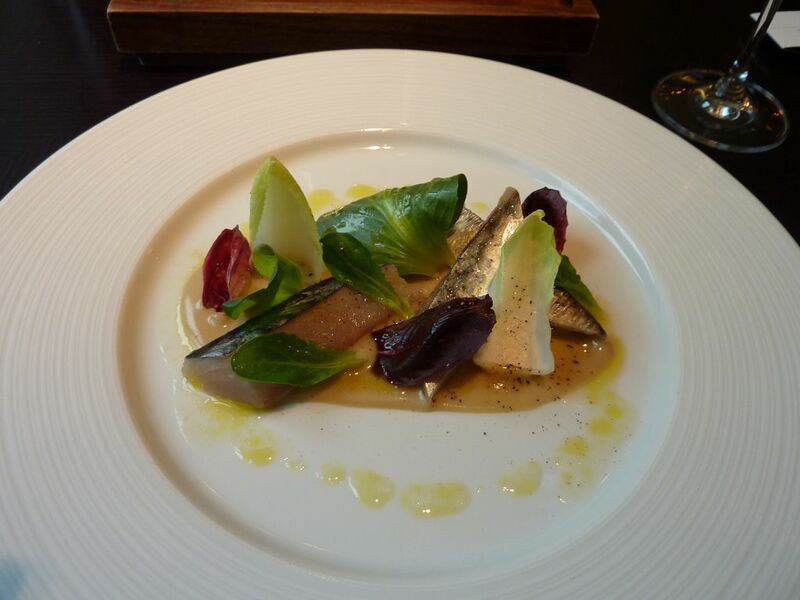 On the whole he felt that the historically inspired flavour combinations were a bit incongruous, sadly reminiscent of the cooking style at Oliver Peytons National Dining Room. 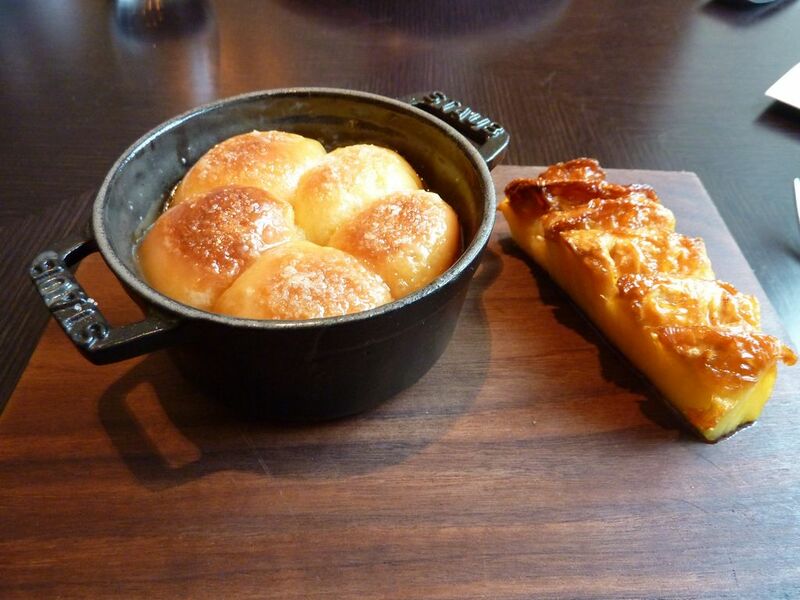 He then had what he described as the “Krispy Kreme” doughnut like Tipsy cake with spit roasted pineapple. 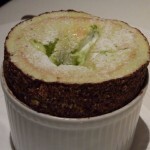 The Tipsy cake was OK but the smoky after taste from the pineapple chunks was less successful. 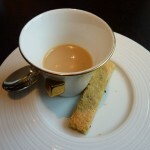 We finished the meal on a “high” note though with a small cup of Earl Grey ganache and some caraway biscuits. This was rather playful in that it conjured up the taste of accidentally picking up and drinking a long discarded cup of cold tea – until the sugar rush kicked in! 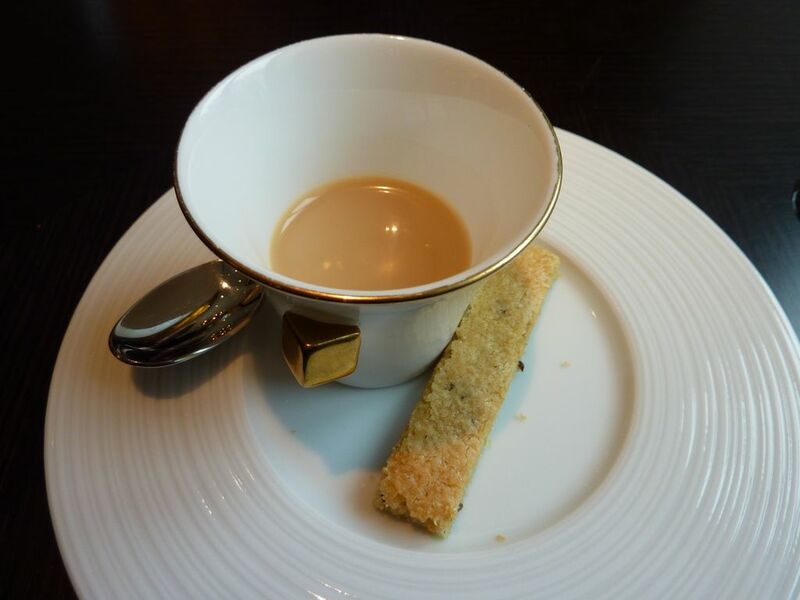 This sweet treat seemed to be closer in concept to the type of food served at The Fat Duck than to Dinners historically inspired menu. 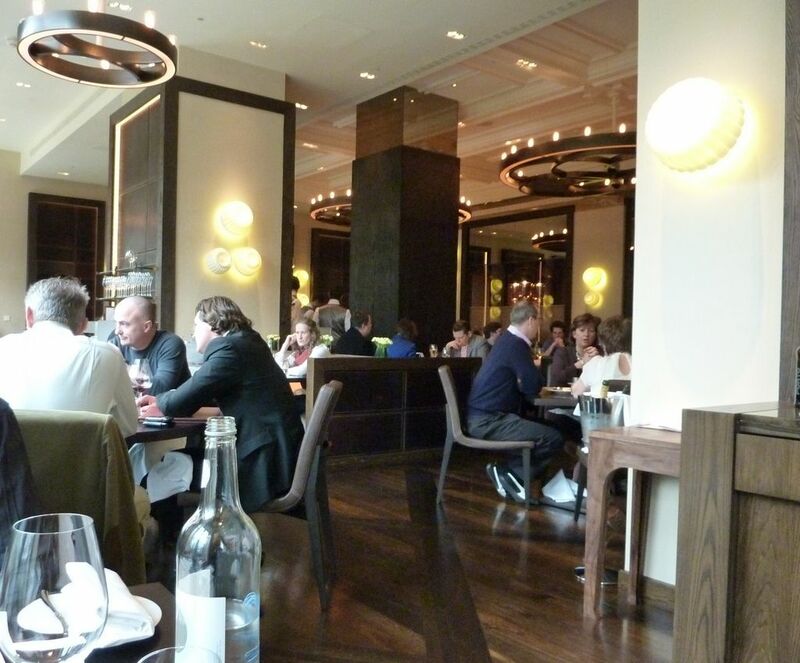 The restaurant with its £4 million make over looks good, but not stunning. With that sort of money I expected this flag ship restaurant to have the same level of glamour as achieved by Moments at the Mandarin Oriental in Barcelona for example. It was also strange to find ourselves seated at the same table location as we had during our memorable last meal at the Foliage. Maybe it was just a coincidence or perhaps it was intentional, indicating the level of customer care the Mandarin is famous for. 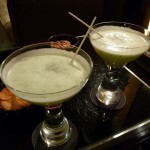 After our late lunch we met up with some friends in the adjoining Mandarin bar for a quick drink that lasted about 6 hours! 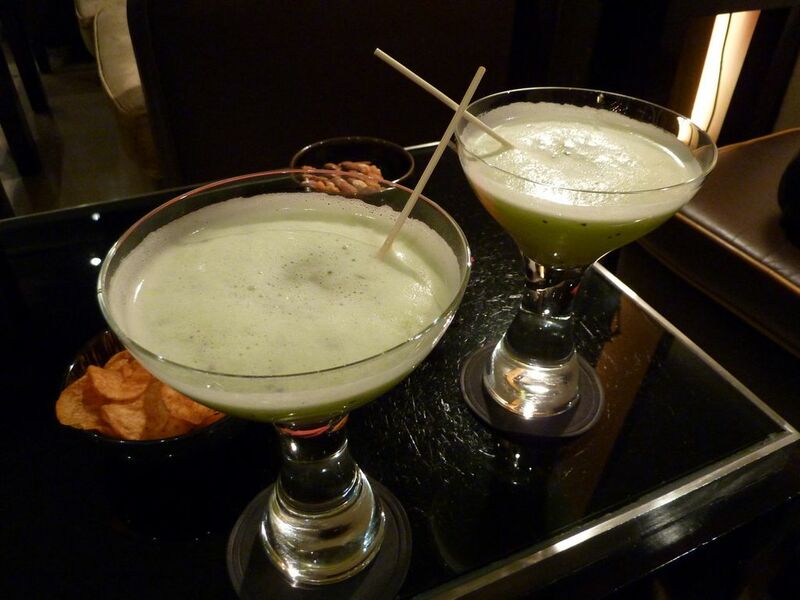 The cocktails were on the whole really enjoyable, served by the super efficient staff. 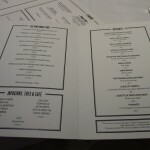 One annoyance was that they no longer offer bar food, just the room service menu if you are a resident. I suspect this is a side effect of losing the The Park Restaurant. 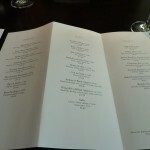 So in conclusion I have to say unfortunately Dinner is not somewhere that I would rush to return too. 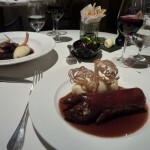 Indeed if in Knightsbridge, I would be more likely to make a return visit to Koffmans or perhaps even Bar Boulud. 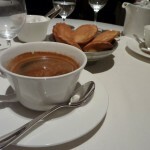 We have no doubt that these changes will bring financial and critical success to the Mandarin Oriental and certainly getting Heston to open his first London Restaurant here is quite a coup, but from our perspective sadly we feel that the Mandarin has lost more than it has gained. 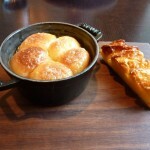 UPDATE : October 2011 : The 2012 Michelin Guide has unsurprisingly awarded Dinner a star. 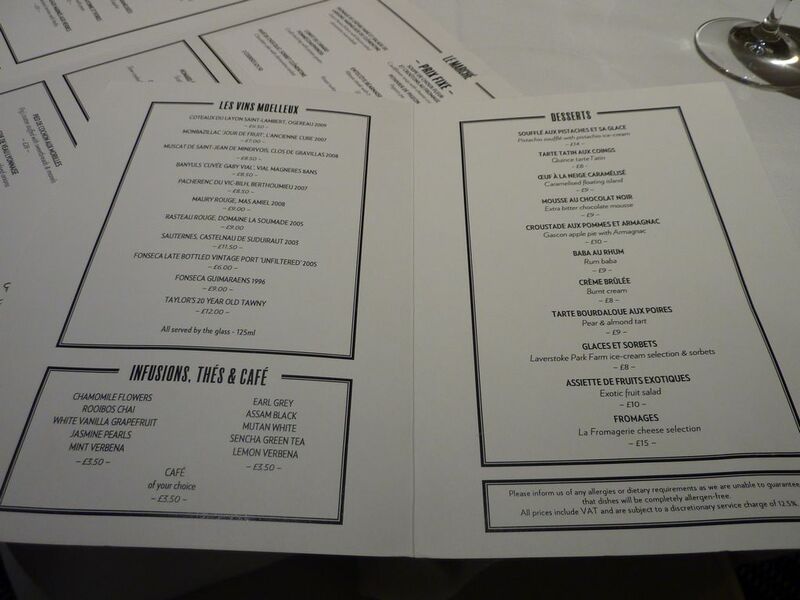 Koffmanns – Pigs trotters and french fries! We chose Koffmans as our post Christmas treat. 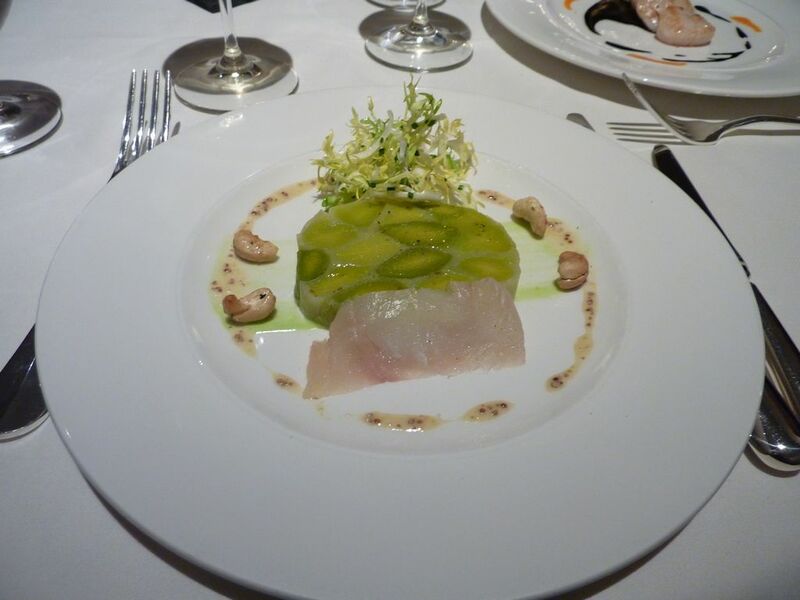 Pierre Koffmann ran the legendary 3 Michelin star La Tante Claire restaurant at The Berkeley until 2003, when he left to ‘go fishing’. 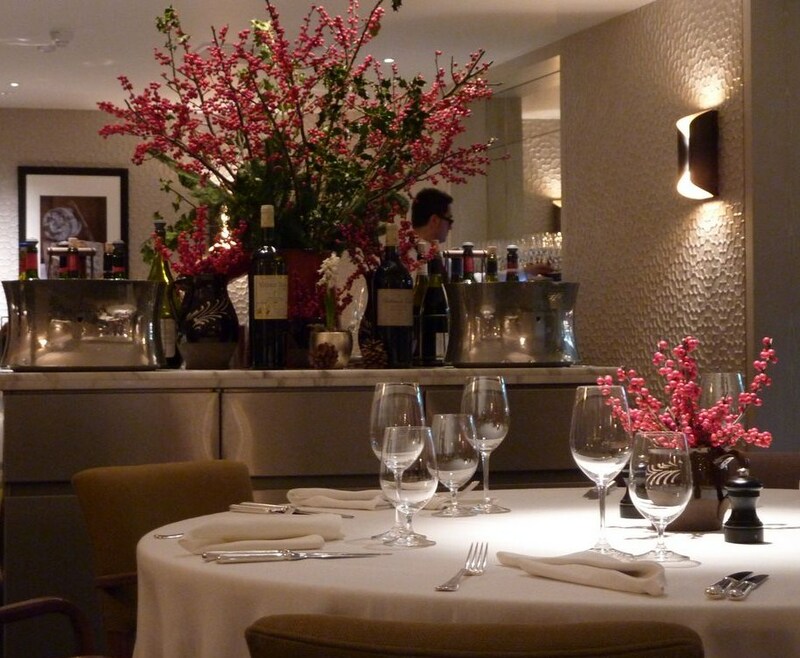 He is now very much back on the London food scene, and back at The Berkeley. Our first impression on entering the restaurant proper was a good one, although the stairs that take you down to the basement dining room, past the small bar area, are an accident waiting to happen. 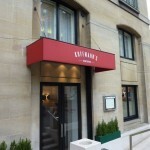 Koffmann’s signature dishes include scallops with squid ink, braised pig’s trotter with morels, and pistachio soufflé with pistachio ice cream. So off course we made sure we ordered them. 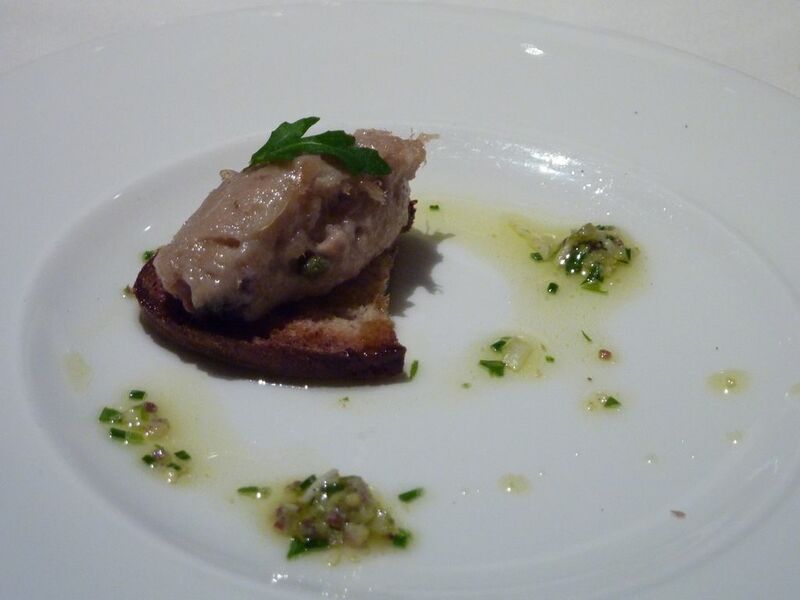 Indeed the waiter actually made a point of saying ‘and I presume you would like to order the Pigs Trotters’ – maybe the camera on the table gave it away. 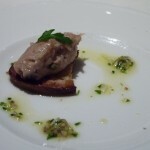 We started with a tasty amuse bouche of rabbit paté, followed by a leak terrine with smoked haddock and the aforementioned scallops. 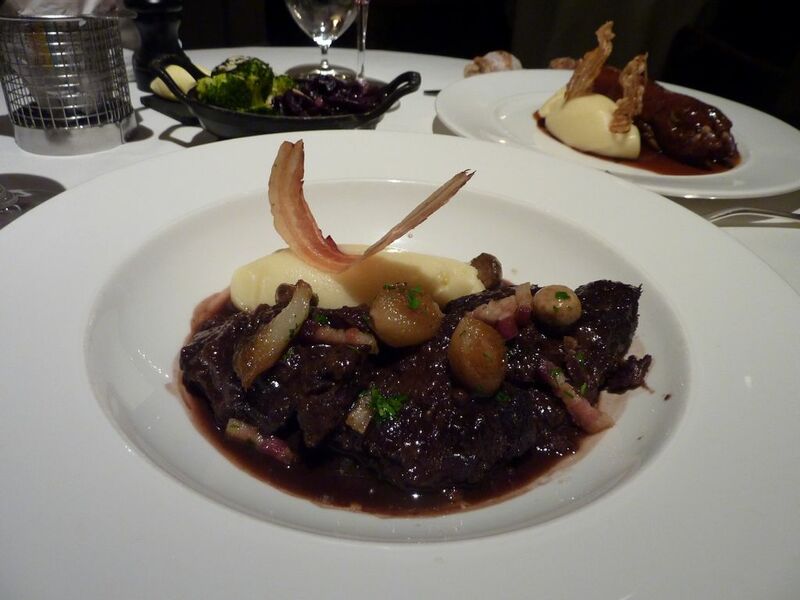 Then for main course as well as the trotter stuffed with sweet breads, we had the beef cheeks. Both dishes were served with lovely mashed potatoes and a winter vegetable selection of broccoli, red cabbage and also what I can only describe as a completely superfluous order of french fries. Perhaps they were included to give us something to criticize? Certainly there was nothing much to complain about with the rest of the meal, and it still seems strange to say it, but the vegetables in particular were a standout, so much flavour. 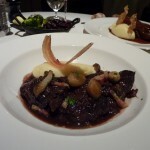 The Beef cheeks portion was large, but so light that finishing it was not a problem. 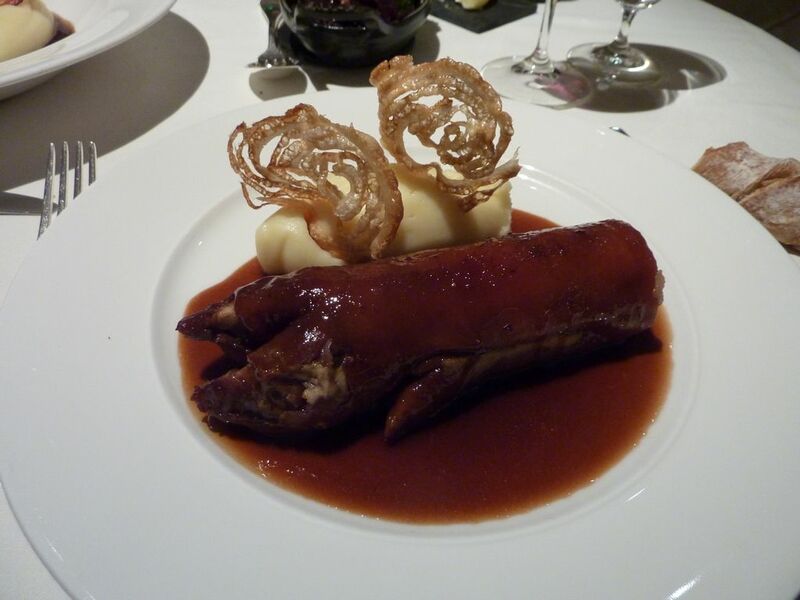 Never having tried Pigs Trotters before, Koffmanns was definitely the best place to start. 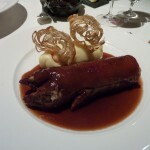 I’m not entirely sure what we expected, but having almost the full pigs leg complete with hoof on the plate was a bit disconcerting, but proved to be delicious. Pork crackling is not a personal favourite, due to earlier experiences where it has been more akin to chewing on a giants toenail. 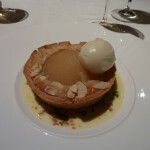 However this was not the case here as it was light, wafer thin and very, very tasty. 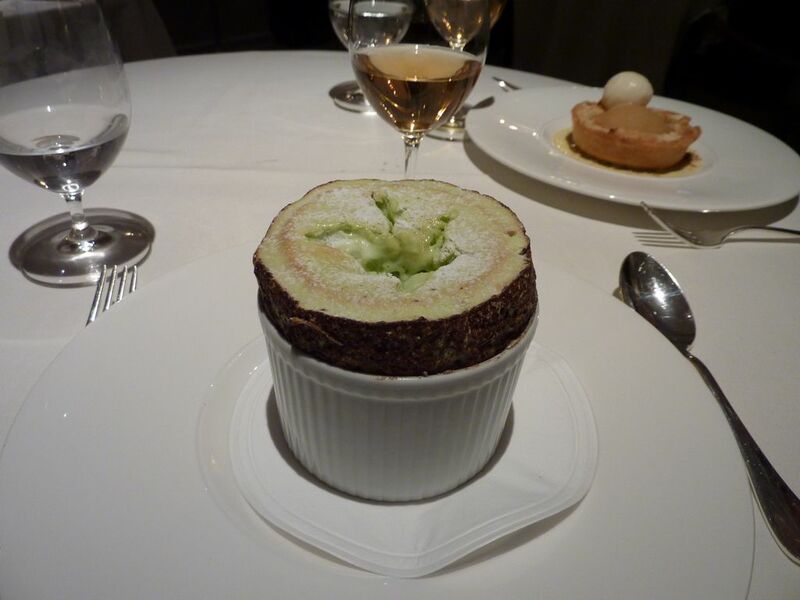 For dessert the pistachio soufflé with pistachio ice cream was quite stunning, on a par with the soufflé I tasted at The Ledbury a few weeks ago. 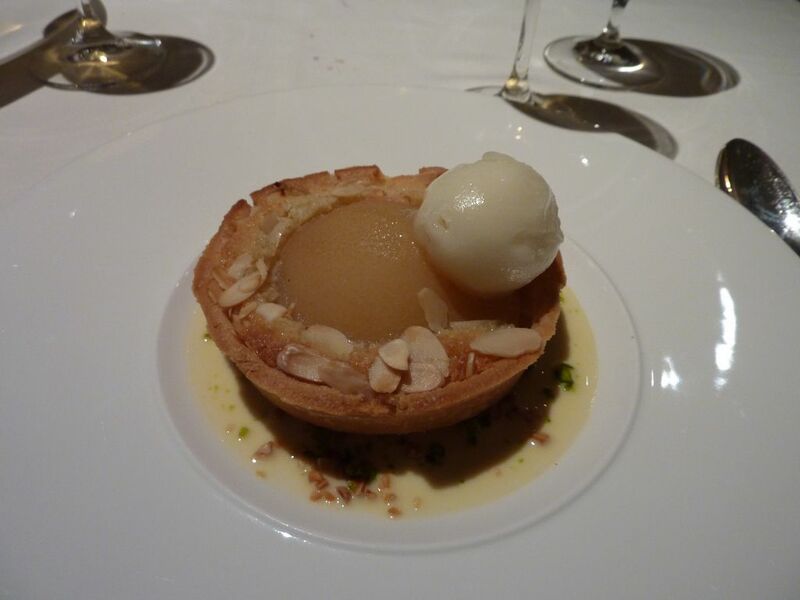 The pear and almond tart however was really nothing special, although the pear sorbet that accompanied it was divine (a larger portion would have been nice). 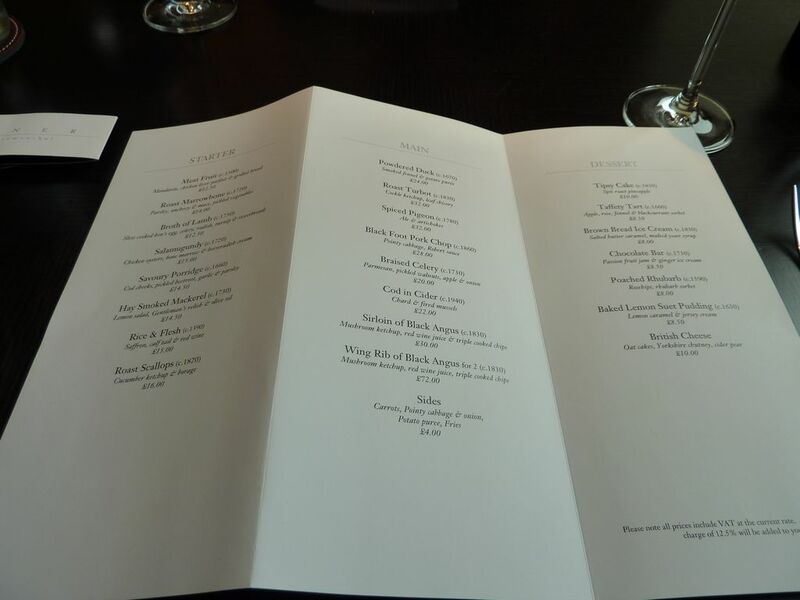 We have always found that asking the Sommelier to match a glass of wine to each course makes the meal more interesting and as the wines by the glass were of a reasonable price (they ranged from £6 to £15) we knew we would not be too horrified by the final bill. 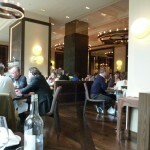 It is also always interesting to see where other chefs choose to eat in their own time. 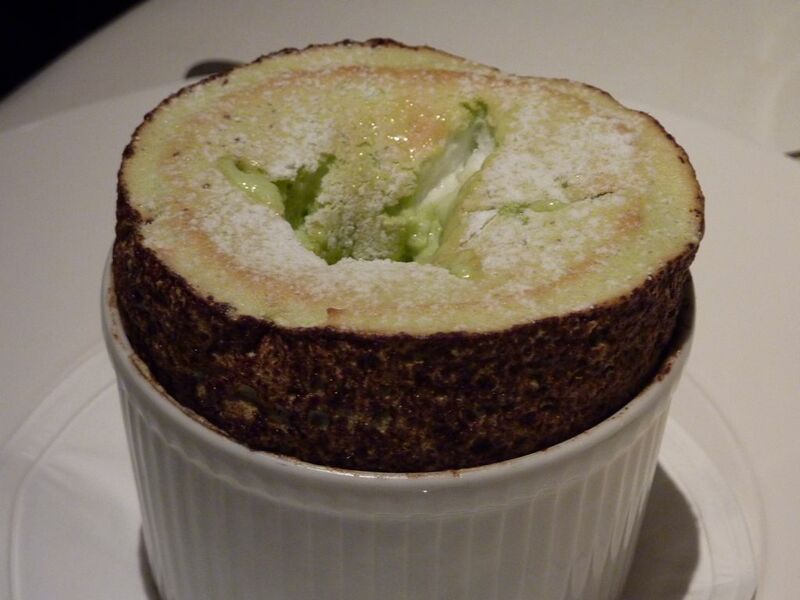 Gary Rhodes for example sat a few tables away from us, tucking into his pistachio soufflé. 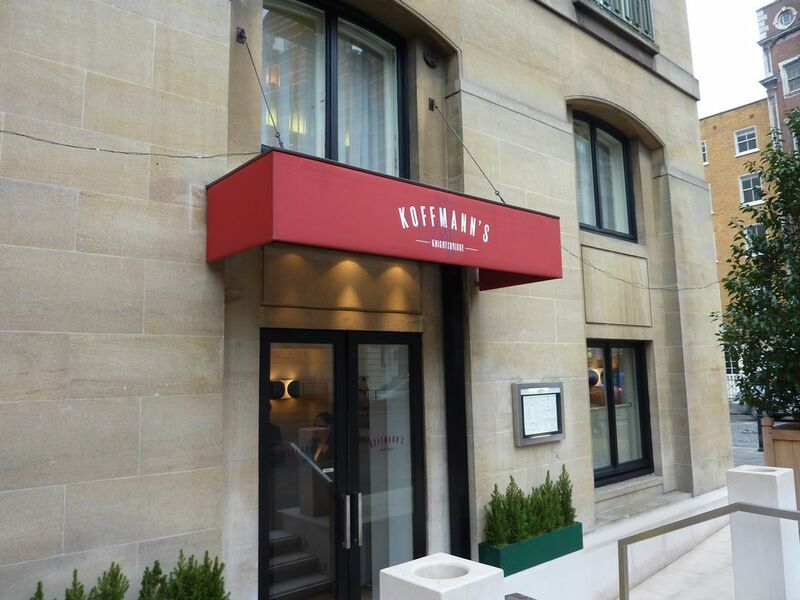 Chefs who have worked in Pierre Koffmanns kitchen over the years include Tom Kitchin, Tom Aikens, Eric Chavot, Gordon Ramsay and Marcus Wareing. 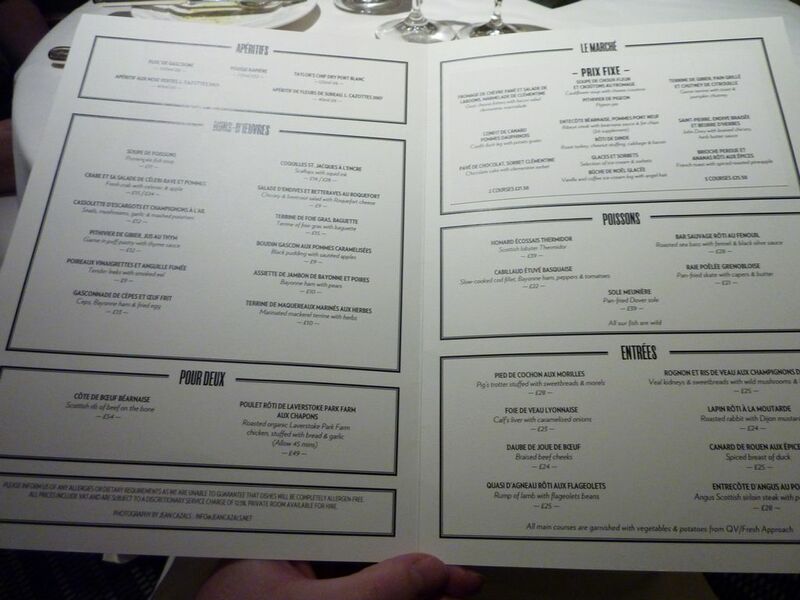 Having eaten food produced by all of the above, we could certainly see Koffmanns influence. 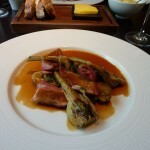 Author No ExpertPosted on December 31, 2010 February 4, 2019 Categories Best of the best, Expensive, London, UKTags Closed, Eric Chavot, Gary Rhodes, Koffmann's, Marcus Wareing, The Ledbury, Tom AikensLeave a comment on Koffmanns – Pigs trotters and french fries! What’s coming next in the lead up to Christmas? 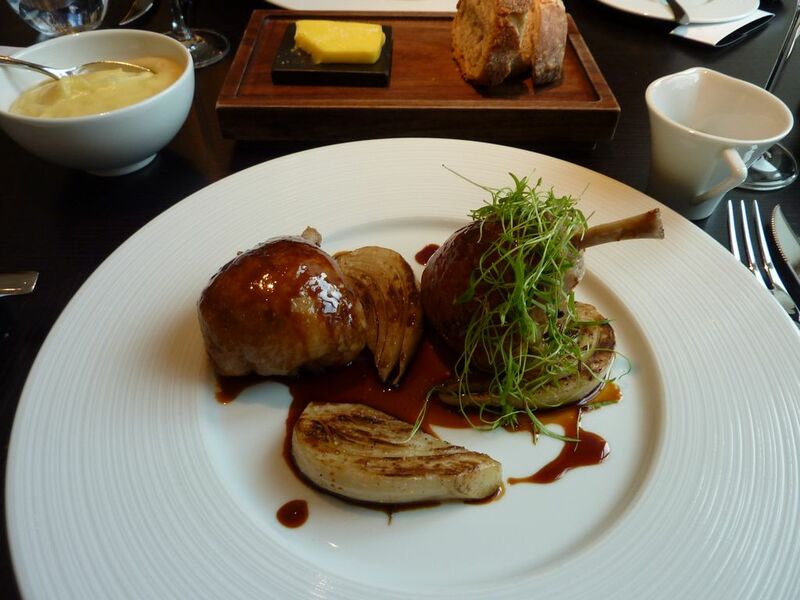 It is always a bit more difficult at this time of year – a bit harder to get bookings if you want to avoid the Christmas rip off menus and holiday shut downs. 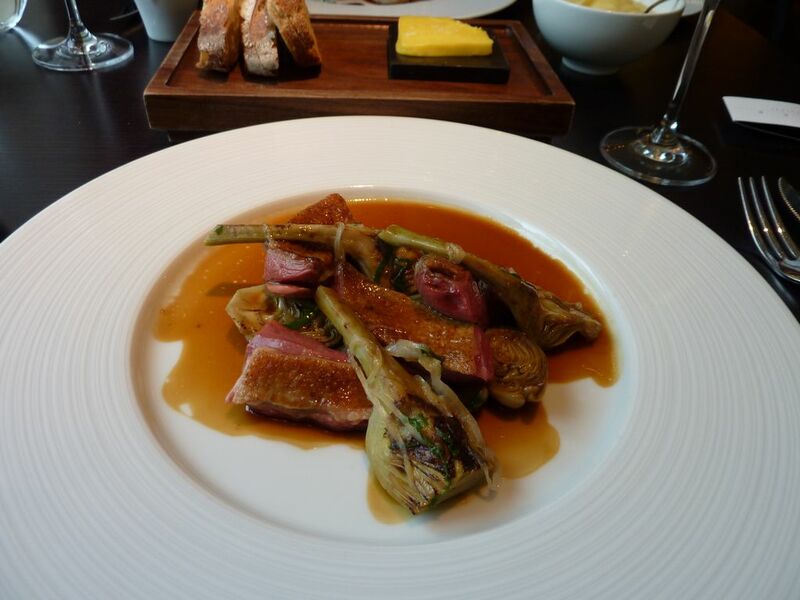 The Ledbury – which just seems to be winning more and more awards and acclaim this year. Koffmann’s – need I say more, the mans a legend. 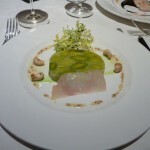 We are also going to Chez Bruce, a restaurant that has been top of our wish list for a while now. 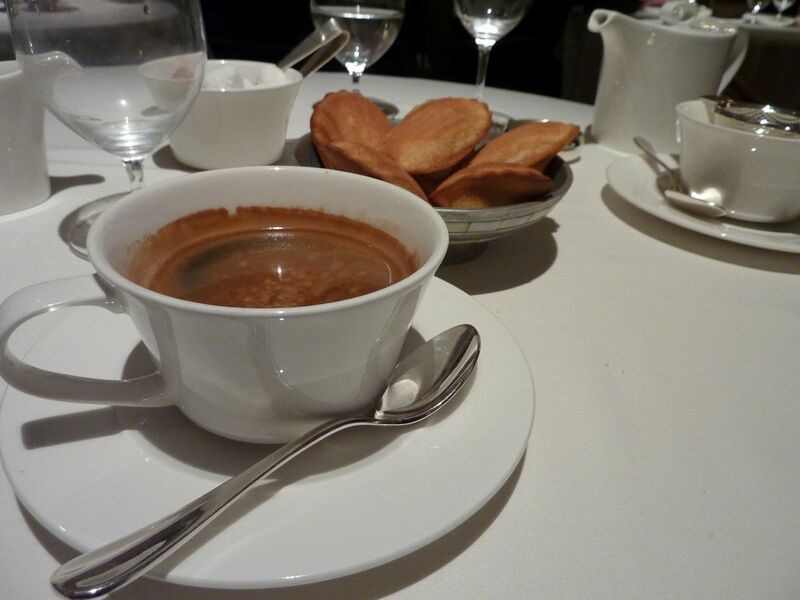 Then we are starting off the New Year on a high note (hopefully), at Apsleys in the Lanesborough Hotel. 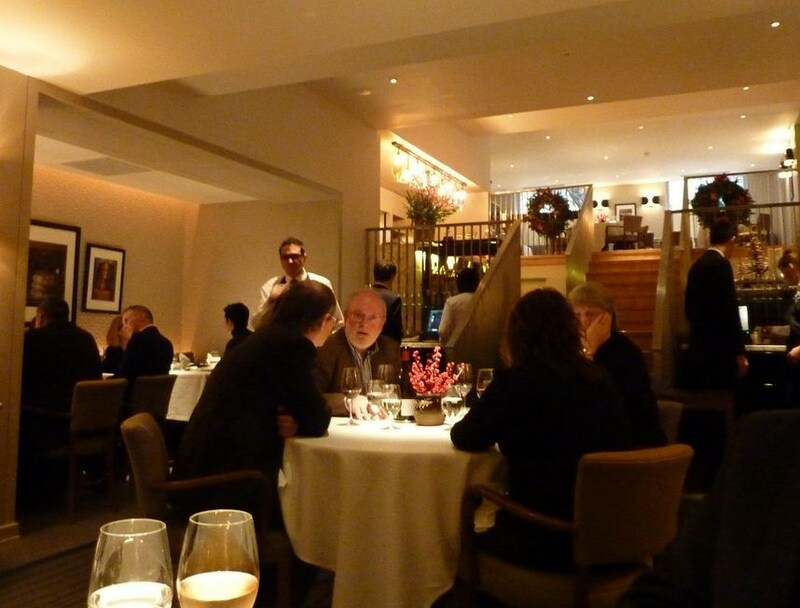 It was awarded a Michelin star earlier this year. 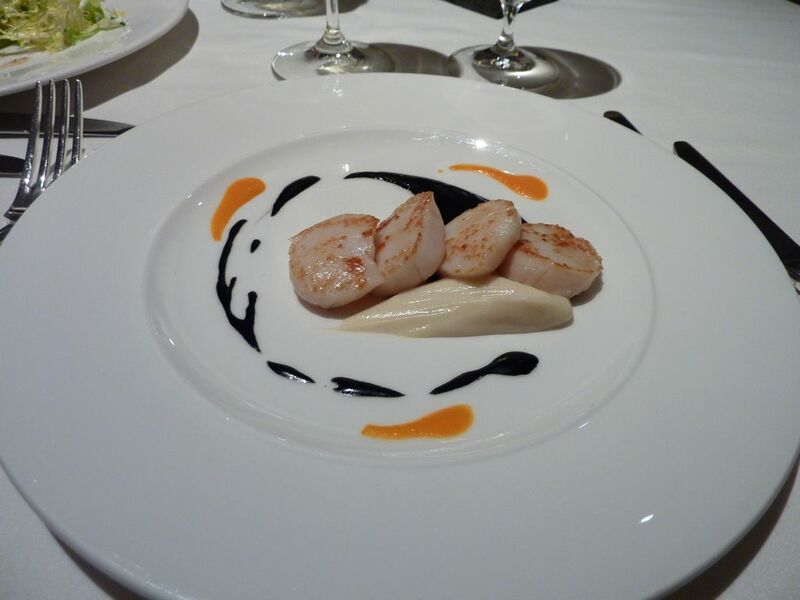 It is a Heinz Becks Restaurant, the first one outside Italy, where he has 3 Michelin stars for La Pergola in Rome. 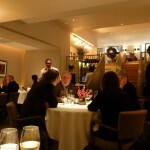 The No Expert Best and Worst Restaurant for 2010 will be announced at the end of year.